Back in the 1980’s buying and selling real estate was all the rage. Every TV channel carried late night infomercials about the ease of making money by using other people’s money to buy homes at a low price and then resell them quickly for profit. And they always reminded you that it’s about location, location, location. Well, in the new millennium, there’s no faster way of making money than by buying and selling VRE – virtual real estate – domain names. And best of all, you don’t have to worry about having to make huge investments, worrying about mortgage payments until you sell your property, or even being concerned with having to deal with fixer uppers. 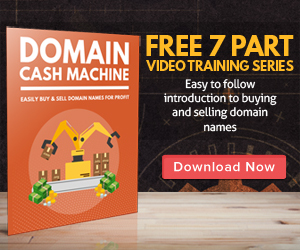 An average domain name can be purchased for less than ten dollars and be resold for several hundred dollars within a few days. Each and every day people are buying and selling domain names through domain name registries, auction houses and brokerages just like stock and bonds. But unlike investing in Wall Street and the Dow Jones, the average investor can earn huge multiples on the sale of a single domain. In fact, it’s not unusual to see a single domain that was purchased for $6.95 one day to sell for $2,000.00 or more the next day. In 2007, industry experts have stated that the domain name industry is approaching a $2 billion market. Even more staggering is that these experts claim the industry value will grow to over $4 billion by the year 2010! Domain name speculation is becoming more than a hobby for some. Canadian entrepreneur and domain name expert, Kevin Ham, began collecting domain names several years ago and has since grown his portfolio of 300,000 domain names into a $300 million empire. Earning an average of $70 million every month, Ham has become the master of the game. So just like real estate was the boon of the 1980’s, it’s likely that smart investors will diversify their investment portfolios to include things such as domain names in the year’s ahead.